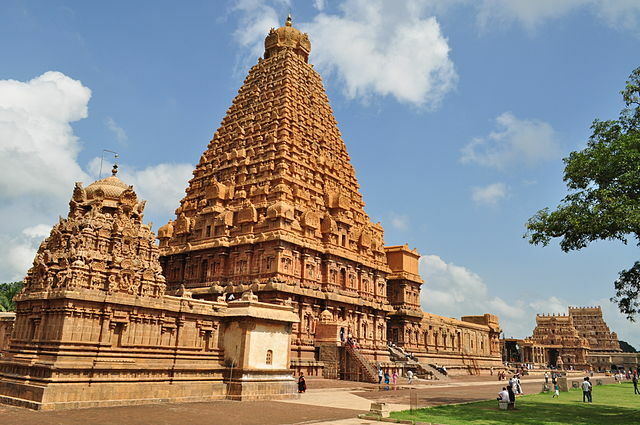 Thanjavur’s Brihadeeswara Temple is stunning. On the second day of the India’s Cup minimal assistance adventure challenge, we arrive in Thanjavur, Tamil Nadu. While not as well known as some of the other stops of our trip, the city is home to one of India’s most impressive buildings: Brihadeeswara Temple. 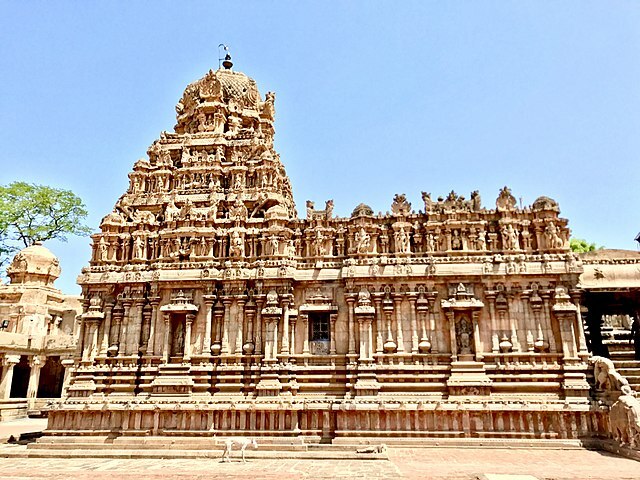 Over a thousand years old, this UNESCO Heritage site is one of South India’s tallest temples, and one of Tamil Nadu’s most popular attractions. Raja Raja Chola I reigned over the Chola Kingdom, which encompassed much of Southern India, from the year 985 to 1014. In 1010, near the end of his successful reign, which had included military conquests of the Maldives and Sri Lanka, Raja Raja (meaning King of Kings), he ordered that a temple be built in dedication to Lord Shiva. And thus Brihadisvara Temple was built, in the capital of his Kingdom: Thajavur. 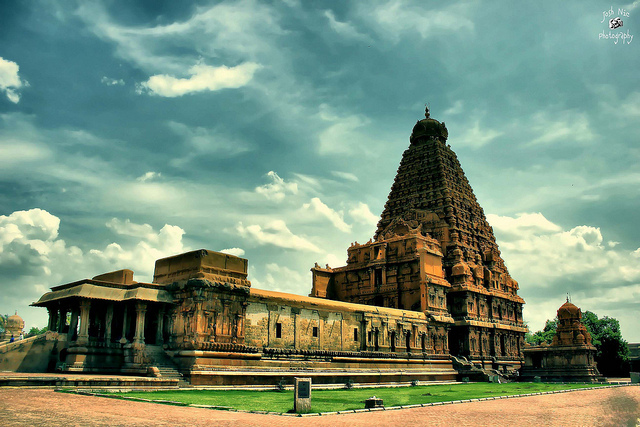 Sometimes referred to as Rajesvara Peruvudaiyar, in reference to Raja Raja Chola, Brihadisvara Temple was a remarkable architectural achievement, and clear evidence of the wealth and prowess of the Chola kingdom. Built in a Dravidian style, it is a stunning example of Tamil culture, not only for its structure but also for its paintings and sculptures. It’s Vimana tower, which rises above the inner santcum, is the second tallest in India (and the only taller example wasn’t built until 1966!). It was the world’s first fully granite temple. Much of the original architecture remains intact, albeit with some restorations. There have been many additions over the years, though, most notably 16th and 17th century shrines, and 18th century fortifications. In 1987 the temple was awarded UNESCO world heritage status, and is now considered one of the “Great Living Chola Temples”. Today Brihadisvara Temple is one of the most essential places to visit in India, particularly at the time of its annual festivals. Seeing it with your own eyes is certain to be a memorable experience for any participant on the India’s Cup!